In a line with Border Barricade in the gully, which marked the furthest consistently held allied line after the battle of Gully Ravine on 28th June 1915, lies an area that saw very intense and costly fighting. In the photo above, the Eastern Bird Cage, on the extreme right hand, where the larger bushes push leftward up a depression in the land, was a complex trench system. It was called the Bird Cage because the trenches here were covered with wire mesh to prevent Turkish bombs from reaching their mark. The Turkish trenches were just a few yards behind the point at which the photo was taken, and were similarly protected. There was a similar ‘western’ bird cage on the other side of the ravine. In the latter part of the campaign, mining activity by both sides was extensive here. 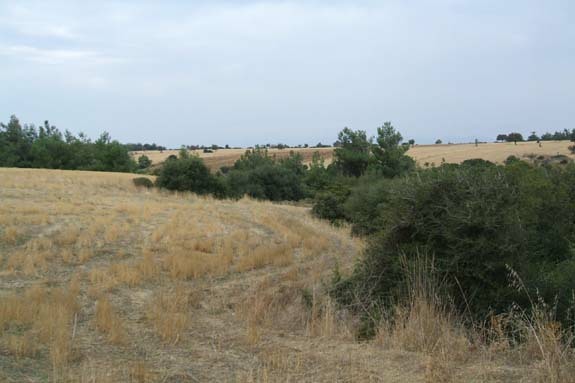 In the middle distance in the photo above, marked by a line of bushes extending from the right (Gully Ravine) into the field, is Cawley’s Crater. 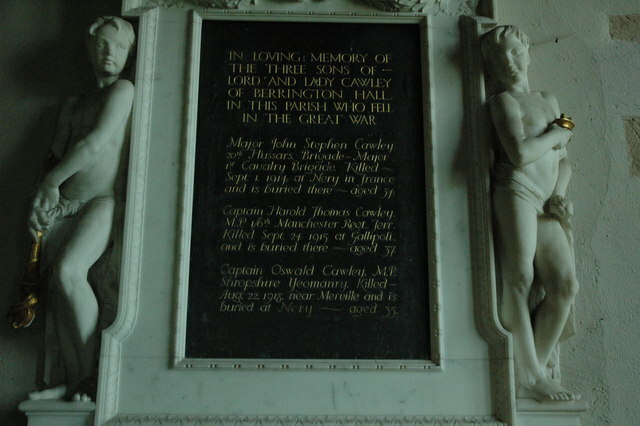 Captain Harold T Cawley, of the 6/Manchesters, was the Liberal MP for Prestwich. Initially attached to Divisional HQ, he lobbied until he was permitted to go to the front line and was noted for his coolness under fire. On 23th September 1915 the Turks detonated a huge mine under the allied trenches at this point. Cawley, with a handful of men, immediately occupied the crater and began to dig a trench on its rear shoulder. Raising himself up to check the enemy positions, he was shot through the temple and died instantly. He is buried at Lancashire Landing CWGC cemetery, above W Beach. Cawley was aged 37. The ‘History of Parliament’ page for Harold Cawley MP can be viewed here. not only Harold but also his brothers John and Oswald, who also died in the Great War.